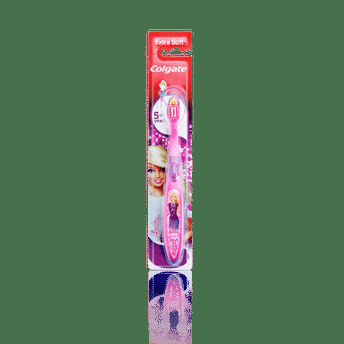 Colgate Kids Barbie Toothbrush comes with your child's favourite character to make brushing exciting and fun. 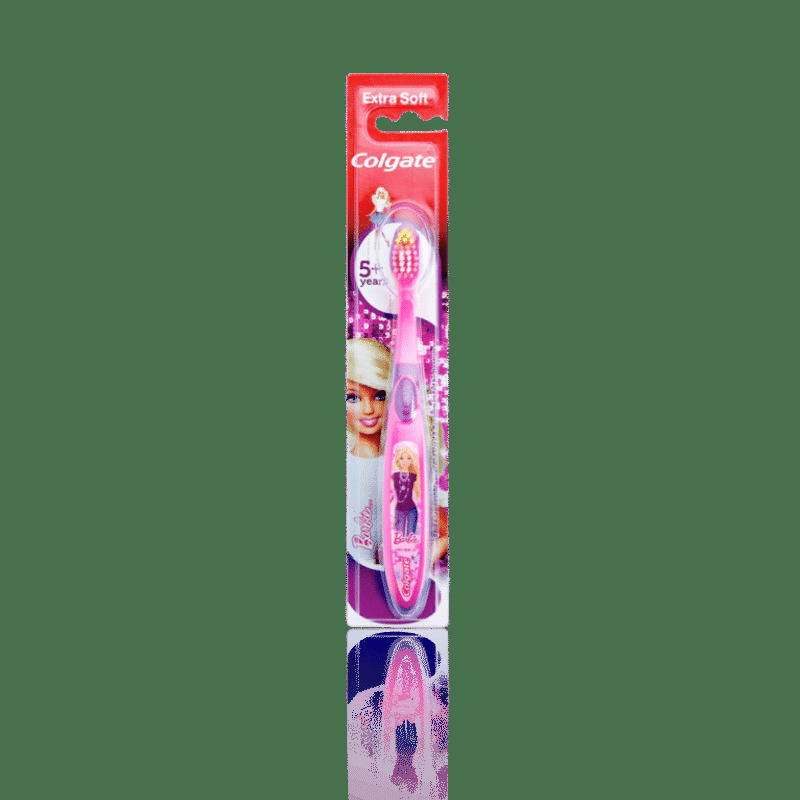 Especially designed for kids of ages 5 years and above, the extra soft bristles of the kids brush work gently on their developing teeth and gums. The multi- height soft bristles help clean big and small teeth and the raised tip cleans hard-to-reach back teeth. The toothbrush is specially designed with a non-slip handle and a convenient thumb rest for a better and a comfortable grip. Colgate is the No. 1 toothbrush brand recommended by dentists. Additional Information: Trusted by Millions across the world, Colgate-Palmolive is a global household and consumer care brand producing safe and effective personal care products. From oral care to personal care, from home care to pet nutrition, Colgate-Palmolive makes the products that make you smile. Colgate is No.1 toothbrush and toothpaste brand , offering quality oral care products, including toothpastes and toothbrushes, as well as expert dental health information.